The Kitchener 110 range cooker offers a huge 6 zone ceramic hotplate delivering impressive heat-up times and responsive controls. Ceramic hobs are also relatively easy to clean compared to their gas counterparts and benefit from ‘hot hob’ indicators for additional safety. 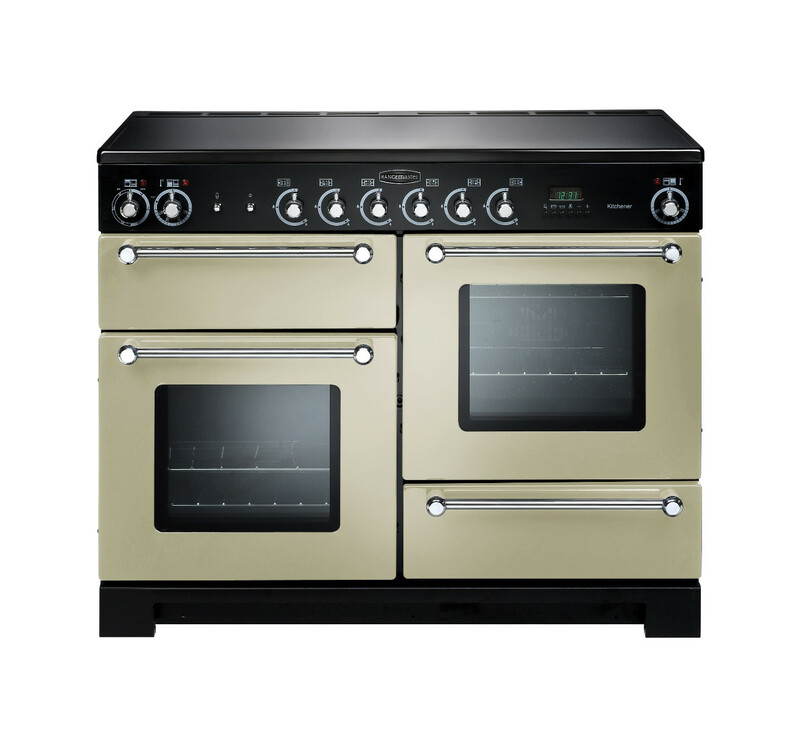 Available in a choice of colours there is a Rangemaster Kitchener 110cm Ceramic Range Cooker which will look perfectly at home in any kitchen. Choose from black or cream, both with a stylish chrome trim.